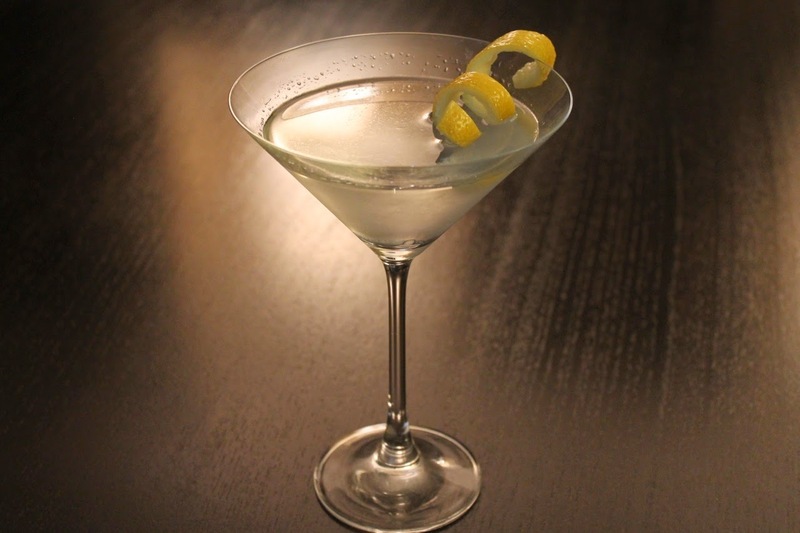 Starting next year, James Bond will make his vodka martinis, like The Vesper (pictured) with Belvedere Vodka. Washington Post: "Washington Post Food Section’s Best Cookbooks of 2014," by Bonnie S. Benwick. Still looking for that perfect cookbook to get the cook in your life? You're in luck: Benwick rounds up a baker's dozen (that's 13, FYI) plus 13 runners-up of the year's best cookbooks, including the cookbook for James Beard Award-winning The Slanted Door, Dorie Greenspan's Baking Chez Moi and local author Cathy Barrow's Mrs. Wheelbarrow's Practical Pantry. Washington Post: "Holiday Almond Cake from Lisa Yockelson: Intensified Flavor in a Simple Single Layer," by Lisa Yockelson. The combination of almond paste, almond extract and ground almonds (plus a few slivers for sprinkling) give this single-layer Holiday Almond Cake its intense almond flavor. I bet this would be really good with some fresh raspberries. Washington Post: "A Tart Made Just for Garlic Lovers," by Joe Yonan. I'm with Joe: I love garlic. And this Caramelized Garlic and Butternut Squash Tart With Almond Crust sounds like a wonderful holiday dish. New York Times: "Schmaltz Finds a New, Younger Audience," by Melissa Clark. To many, "schmaltz" is a pejorative term for sentimental art, but for many Jewish cooks, and an increasing number of other cooks, it's a laudatory term for rendered chicken fat. Some people may turn their nose up at it, but think of how good those little bits of skin are that get left in the pan after you sauté skin-on chicken. There's a reason for that. Clark provides an in-depth look at its history and why cooks are embracing it again. New York Times: "Challah You Bake Yourself Is Worth It," by Joan Nathan. My experience with challah is mostly as a base for fabulous French toast, but the Jewish bread is, naturally, welcome at Hanukkah, which began last night. What I didn't realize until now is that it's not that hard to make yourself. I'd definitely like to try doing so. Long a Smirnoff man, Bond will be having his "vodka martini, shaken not stirred" made with Polish Belvedere vodka in Spectre, the upcoming 24th official film in the series. Cafe Meeting Place: "Guest Speaker: Apple Baking Advice," by Wendy Brannen. My friend Wendy knows her apples. After all, she works for the U.S. Apple Association. For this guest post on Cafe Meeting Place, she turned to a few friends (including me) for advice on baking with apples, turning up quite a few helpful tips. Real The Kitchen & Beyond: "Holiday Party Recipes: Chipotle Turkey Cranberry Sandwiches," by Heather McCurdy. I'm all about the sweet-and-spicy these days, and these little holiday sandwiches sound absolutely addictive. I'm sure I couldn't eat just one. Nevin Martell: "10 Perfect Gifts for Foodies." If the cookbooks story above didn't satisfy your need to find a gift for a food-lover, Martell's got another 10 great suggestions, including sriracha for your key chain. Wall Street Journal: "McDonald’s to Pare Menu, Review Ingredients," by Julie Jargon. The economy is up and gas prices are down. This should be good news for the world's largest restaurant chain, but sales at McDonald's continue to decline, thanks to changing tastes. The Golden Arches appears ready to tackle the problem, which will include paring down its menu, which has apparently bloated to over 100 items (when I first started eating at McDonald's in the early '80s, I think there were fewer than 10: hamburger, cheeseburger, Quarter Pounder, Quarter Pounder with Cheese, Big Mac, Filet-o-fish, Happy Meal and fries--plus drinks).